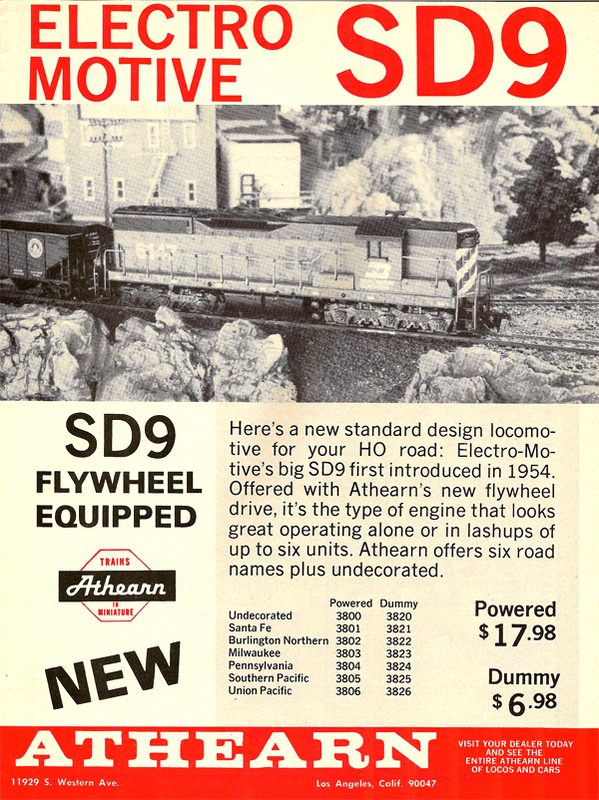 This Spring '75 ad displays Athearn's new SD9 diesel. 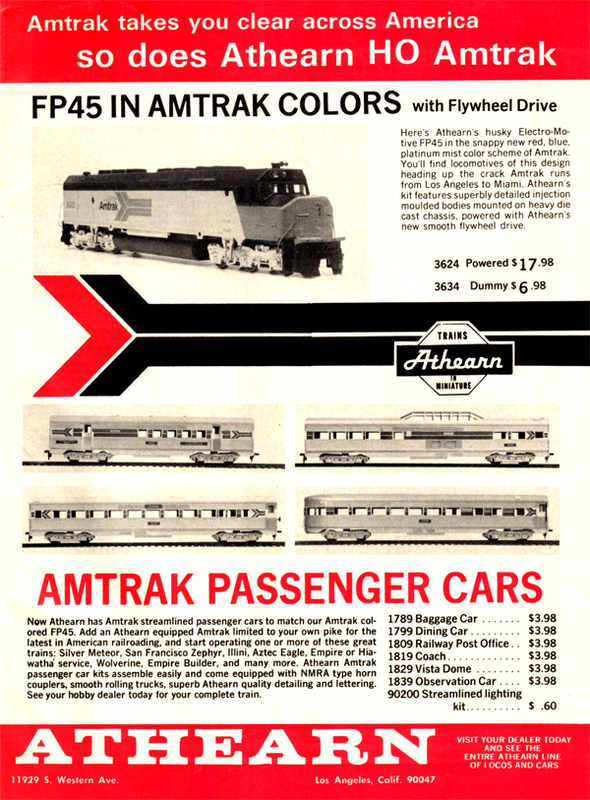 May 1975 shows Athearn's Amtrak offerings. Athearn's FP45 is substituting for the SDP40F Amtrak prototype.